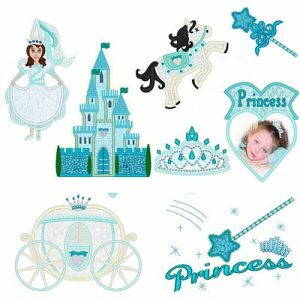 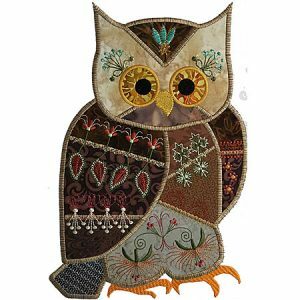 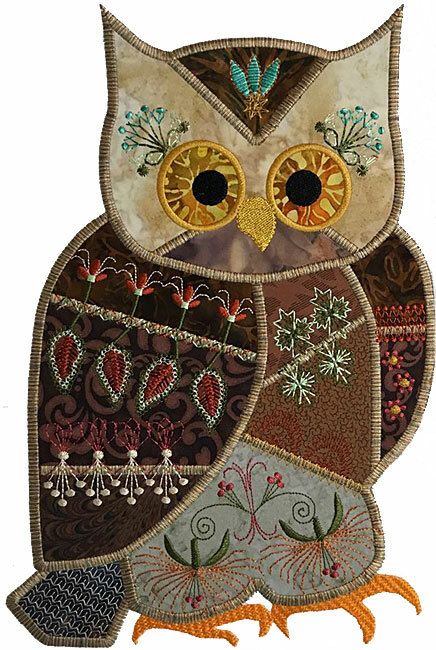 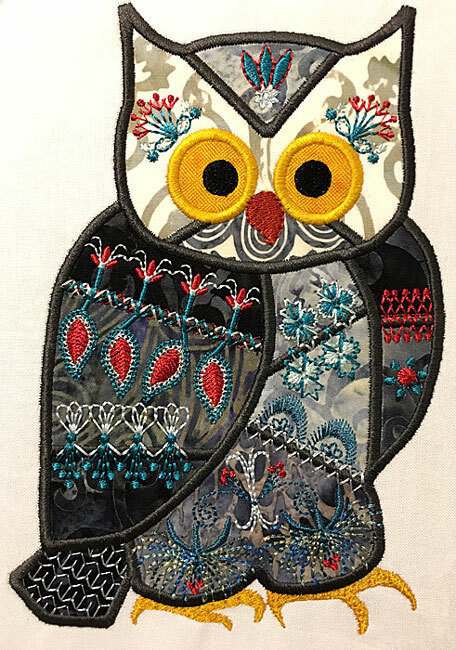 Crazy Quilt owl machine embroidery design! 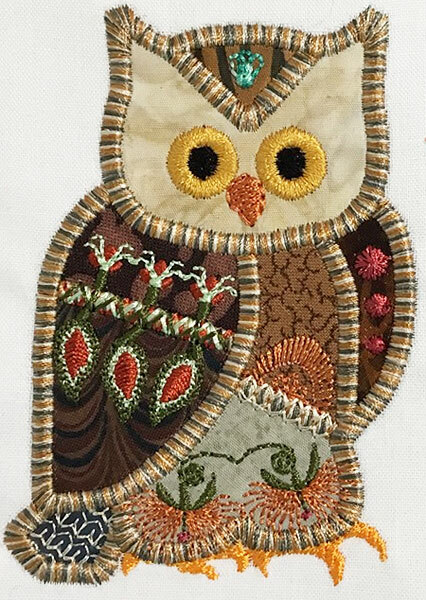 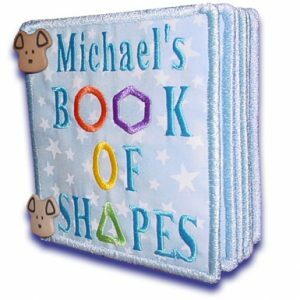 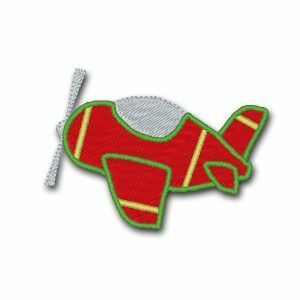 All embellishments stitched in the hoop! 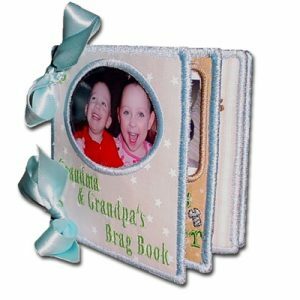 Itty bitty 4×4 or Gigantic 9.37 x 13.7″. 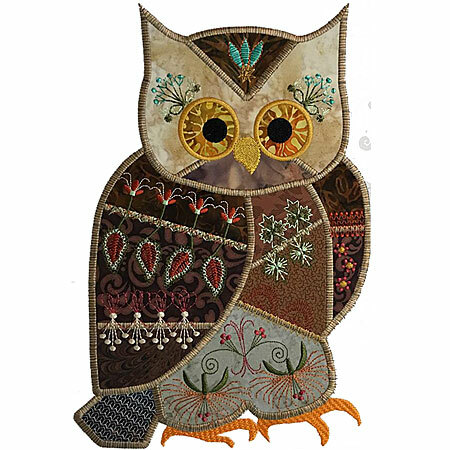 If you purchase “all hoop sizes” you will also get the 4×4 hoop Owl which is different.